Canada's awe-inspiring Rocky Mountains and the stunning city of Vancouver combine to fill this tour with scenic wonders. The 4-star Best Western Carlton Plaza is situated in downtown Victoria. <br><br> Hotel facilities include a restaurant and a gym. Bedrooms have private facilities, air-conditioning, safe, hairdryer, complimentary Wi-Fi, tea/coffee-making facilities and a TV. You're going to get out in the great outdoors this morning on a tour of Banff. There are so many scenic highlights here, and we're going to fit in as many as possible. 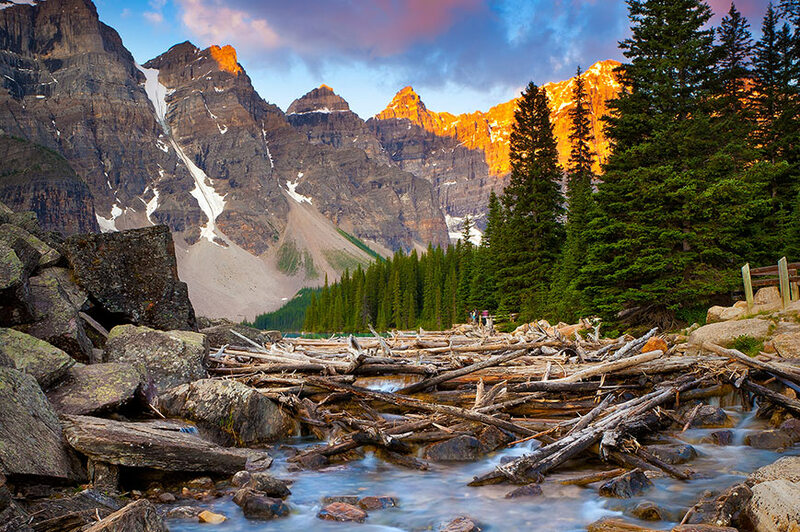 You'll see the Hoodoos of Bow Valley, imposing spires of rock carved by the forces of nature which stand guard over the Bow River, and Surprise Corner. As the name suggests, sensational picture-postcard views are waiting for you here, so remember to bring your camera! You might choose to make your own discoveries this afternoon. However, you've also got the chance to see more spectacular views of the Rockies, but this time from the sky on an optional helicopter flight. At times the Banff-Jasper Highway reaches nearly 7,000ft above sea level, and the mountain ranges flanking it soar to more than 11,000ft. We're going to travel along this iconic route on our way to Jasper, our next base. Before we arrive we're going to stop at the Great Columbia Icefield. If you're up for adventure, an optional Ice Explorer ride across the Athabasca Glacier is highly recommended. A former railroad town, Jasper is now known for its breathtakingly beautiful national park. You're going to discover its incredible highlights today, in particular the spectacular Maligne Lake, renowned for its azure waters, and Maligne Canyon. You've a couple of thrilling optional excursions to choose from today too. 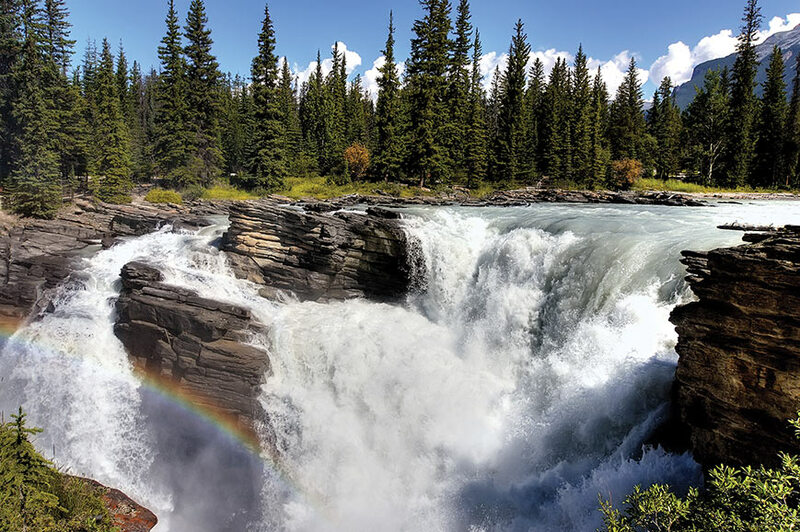 You could join an exhilarating Athabasca River rafting experience. And later, you can take in more stunning sights on an evening nature walk. Our journey to Kamloops in British Columbia takes us over Yellow Head Pass, past Mount Robson – the highest peak in the Rockies – and along the Trans-Canada Highway. The scenery may be spectacular but the highlight of your day is sure to be our stop at Blue River for an exciting Rockies river safari. This once-in-a-lifetime cruise will take you through Grizzly Bear Valley on the lookout for an array of wildlife including moose, eagles, ospreys and, of course, grizzly bears. Soak up Victoria's old-world charm as you explore at leisure today. Highlights include the fabled Empress Hotel, which overlooks the picturesque inland harbour. The waters here are home to an array of marine mammals, so an optional whale-watching excursion is sure to leave a lasting impression.